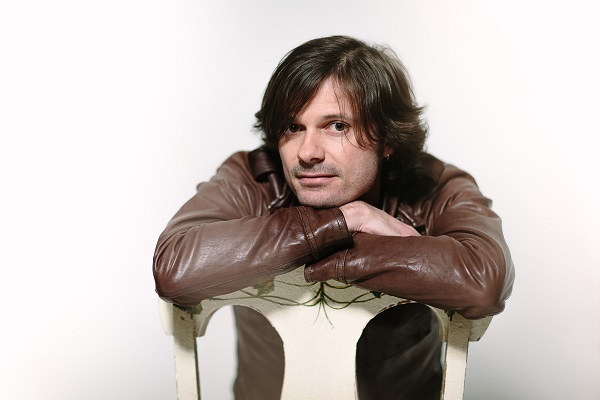 From press release: Darren Middleton is best known from his previous life as guitarist and songwriter for Powderfinger. The much loved Powderfinger played their last ever show in late 2010 and unsurprisingly Darren spent a bit of the time in a creative and emotional wilderness. For the last 20 years, this band was as much who he was as what he did. As the dust settled Darren started working as a producer from his new home in the creative hub that is Melbourne town. This is where the first seeds were planted for his debut solo album “Translations”. “Translations” is classic alternative pop music that lives somewhere in the world between Beatles and Elliot Smith. Your debut solo album is called ‘Translations’ so, what does the title represent to you? It came about as I was thinking about pretty much just music in general and what I think it is or what it is to me which is kind of a translation of thought, feeling, emotion, experience, observation into music, lyric, melody and that sort of thing. I kind of see it as music as the translation of our lives really, and it reflects my life in the last couple of years I suppose. So it’s fair to say that’s the inspiration behind the songs? Yeah, I didn’t have a title before the songs, but it just made perfect sense to me but it was one of those wake up and thing ‘oh, that’s what it should be called, perfect, done’. How did the ‘break’ after the end of Powderfinger allow you to create your end result? It’s been almost three years, and there was a lot of ups and downs actually, there was an up straight after the band, I took my family overseas and travelled Europe for about six months just holidaying basically, had a great time. Then I was really keen to get back and just get back into producing and writing and what I’ve always loved, but I found when I got back that I had kind of fallen out of love with music and I had to find my way back into it, because I started and there’s a lot more to that than just those words, I’d left a twenty year relationship where my identity was I’m Darren the guitarist in Powderfinger and that’s finished so I needed to work out who I was and what I wanted to do again, essentially start again. Also, I’m at a place in my life where I’m not too old so I can go to university I guess, or I can take a few years off and what to do when you’re faced with that question, it can be a gaping chasm in front of you. Who am I and what do I want to do? I don’t know… I think I want to do music, but I don’t really feel it at the moment, and there was a lot of bouncing around in my own personal life that wasn’t all good within my family as I was pretty unfocused and a bit lost and all that sort of thing, so that sort of bore the seeds of the songs, I was writing things and not finishing them but I got to a point when I did start looking back at ideas and things like that there was a reason for these songs to be here and now there’s a reason for me to do music again and I sort of got back into it. How hard was it to say goodbye to that chapter of your life? Yeah it was really good, it was a fantastic last tour actually, the fact that we were breaking up was forgotten at that point, we were aware of it but we were really enjoying that tour, we were happy on stage, in the perfect position as far as bands go we’ve got people helping us out, we’ve got all the gear we could want, video screens, PA’s as we expected, it’s perfect *laughs* it was really good. We did decide announcing the split of the band on a final tour or at our last show just say ‘That’s it, see you later’ but that was selfish and silly and sounds like something they’d write about and sounds stupid. When we did announce this was our last tour we thought let’s make it really special and just put the effort and the money in or whatever was required to make it good. Is it a daunting task to step out on your own? It is, it’s a lot of work, and I’m stepping out from a major record label to be an independent released artist, so I’ve done a bit of work with Indie bands and I was learning about the process and all the little steps you need to do to have a CD like that in front of you, as there’s a lot of work involved. Also because I wasn’t the lead singer in Powderfinger so no one really knew my voice as well, so I’m really just the new guy on the block *laughs* my history kind of opens the door but only a little bit, I’ve got to win people over and it’s a bit daunting but it’s exciting as well, it’s like I made my first record. What has working as a producer allowed you to do on this record that you may not have been able to do previously? Being a producer and being a songwriter are completely different hats to wear, when I’m working with someone else, it’s their songs, their lyrics, their melody and I’ve got a much more objective view, I’m not inside the song and I haven’t written them from that perspective. Then you learn things about song writing and the way songs work and their energy levels, songs have structures and chordal movements and some that are stronger than others that will lead you to a certain place. So being a producer I put all that on the people I’m working with, then I go back to making my own record and I’ve kind of had the experience with that and I can just step back a little bit further than I used to be able to step back. Also in the studio as a producer I’ve also learned how to use all the gear and that, so in my project I can tweak it a little bit. Did you set out to do anything differently as to not compare it to anything you’ve done? A lot of people ask that, and often singers or people in bands say I’m not doing anything like I’ve done on purpose, definitely going to step away… but I’ve never approached it with that mindset, I really just wanted songs to be whatever they were going to be, so I didn’t step aside, but I did bring a friend on to co-produce it who came from a more electronic style of music background, so I knew he was going to be things differently with his contributions and his thought of the songs and I welcomed the idea. So that’s what really took it outside of my past… the melodies are what I always do, but instead of just making a song like that he’s day ‘well let’s just hold that chord and we’ll loop it for a while and just see what happens’. It was interesting because it was me, I’ve always got my sense of song and how things should move the way they move but his approach was a bit different so it skewed my train of thought just enough to I suppose make it sound a little different to my past. You had a few special guests come in and help out on the album, was this something you’d always intended to do? No I did intend for them to be there but initially more because I went through quite a depressed period actually, my self-doubting levels were quite high, so at that point I was calling my friends saying ‘do you think you could come in and help out because I’m not really a lead singer, so can you help me out?’ they were like ‘Alright, we’ll help out but…’ as soon as they got the studio, like Nic Cester sings one of the lead vocals and I was going its pretty good and he said its good but it’s not right is it? *laughs* and that happens for a few of the singers that did lead vocals, but we all resigned to the fact that I can sing, I just need to do it, and they were all like ‘good, I want to do backing vocals, you do the singing, I’ll do the backing’ so it kind of became what it became but initially it was born out of self-doubt, so I didn’t enlist them for any kind of flag waving purposes or anything, it was more of a personal level. It reads really well actually, I tell my friends and they say ‘wow you’re lucky’ and um, it’s just my mates *laughs*. Touring wise, you have a few shows coming up in November, what can fans expect to hear at these shows? No Powderfinger at the moment, that may come at some point; there’s a few songs in Powderinger I wrote the lyrics for as well as the music that I could probably do. The other thing behind the title of Translations is live it allows itself to be re translated, when I’ve got the band it’s a bit more energetic and heavier and it’s a lot more rockin’ actually with the band, the other way is a lot more stripped back version. The idea of Translations works well in the live sense as well, how is this going to translate live, well it’s going to be pretty heavy in this sense. Are you nervous to now be out the front? I was before the Big Sound gig which was our very first gig, I was at the restaurant having dinner and I called home and said I think I’ve eaten something a bit funny as I’m feeling a little sick, and my wife said ‘you’re just nervous you idiot, just get over it and get on with it’ *laughs* and she was right, the moment we started I loved it, loved every second of it, I was right in the moment and I really loved it. I’ve done heaps in the past where I had a side project called ‘Drag’ and I’ve done a few solo gigs throughout Powderfinger’s career and I was always quit reserved and quite nervous, but this is like a whole new chapter for me and I’m quite enjoying it. I don’t hold any great expectations, I’m not too concerned if it doesn’t do too well as I’m happy with what I’ve got. I know it’ll probably never happen, but will Powderfinger ever see the light of day again? What would it take? Hopefully a lot more touring, these album launch shows in November are about putting my toe in the water and seeing how I feel about it; see how it goes as well. If people want to see my play, I’m pretty keen to, as I think I’ll really enjoy it, so I’ll try to get out there in 2014, maybe overseas as well, I love travelling, so it would be great to do that. 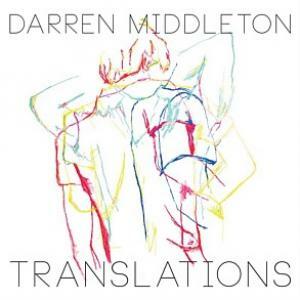 Latest Release: Translations (MGM distribution) out now!